Another week, another bright and early start with the DJ Sbu Breakfast, exclusive to Massiv Metro. The Archbishop of the airwaves, DJ Sbu, was not around this morning but DJ Fingers held it down, with a lovely one-on-one with Miss SA, Tamaryn Green, in his absence. The 23-year-old Worcester-born and Paarl-raised beauty, blew in with a burst of energy and let us know a little bit more about what it is that makes her tick. Speaking on her journey to the crown, she said that pageantry began at a young age for her with many people having encouraged to get into the industry from when she was a little girl. She spoke fondly of her upbringing, having enjoyed the small-town lifestyle because “the community there is a tight-knit community”. Her parents are teachers and she said that that meant a lot of talks and debates about education. Growing up, her parents were “always talking about education – my dad loves debating about it”. Her parents’ influence as far as the importance of school and education was witnessed in her being the head girl in both primary and high school and now, as she pursues a medical degree. DJ Fingers then asked her about whether it has actually sunk in… that she is now Miss South Africa 2018. “The first week, everything came as a storm and I think it only sunk in when I watched the video myself and saw the crown being put on my head… “At first, it was very overwhelming. You think you’re prepared until it’s happening”. So, can Miss South Africa have a boyfriend and a semblance of a personal life, you ask? “You are allowed to have a relationship but you have to be very discreet about it and make sure it doesn’t interfere with the job, because being Miss SA is a very big job! There is someone special but we spoke about this a lot and this year, he said ‘do you’ and he’s gonna do him as well”. With Youth Month upon us, Tamaryn says that the Youth of today need to make sure that they understand where it is that we come from. We also had a look back at what happened today in history and today, marks 8 years since the FIFA World Cup kicked off here on African soil for the first time. Five African nations vied for the right to host the FIFA World Cup 2010 when South Africa defeated Morocco and Egypt. For more on what’s rocking real and relevant, be sure to log onto www.massivmetro.com or you can download our app from the Google Play Store or the Apple Store. We’re back again tomorrow where we’ll be coming to you live from the Ekurhuleni Economic Youth Summit at Birchwood Hotel – you don’t want to miss it. 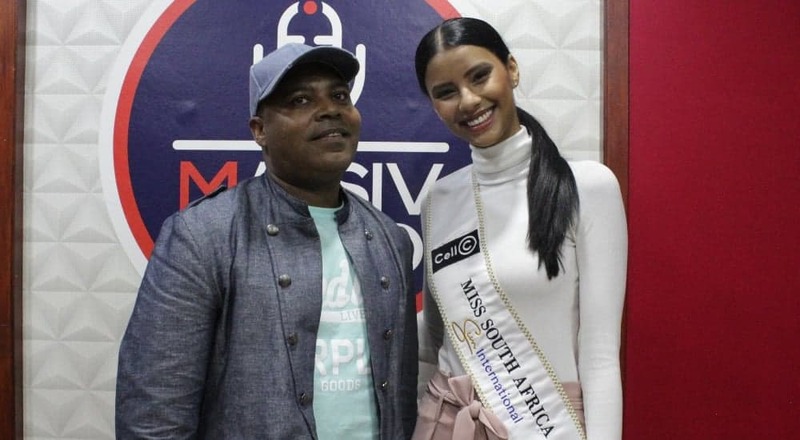 WATCH: Miss SA Tamaryn Green lets us in on her hidden talents and what the most bizarre thing that happened to her on her recent trip to Spain was.